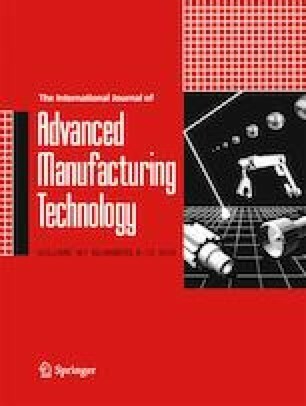 Part I of this two-part paper presented mixing chamber conditions and jet characteristics in a high-pressure abrasive slurry jet micro-machining (HASJM) system. The present paper describes the modeling of the slurry entrainment process within the mixing chamber and mixing tube of the nozzle using computational fluid dynamics (CFD) and shows how the results can be used to explain and predict machining performance. The slurry flow rate into the mixing chamber was found to have a large impact on the performance of the jet due to differences in the momentum of the high-velocity water and low-velocity slurry. The erosive efficacy of the jet was assessed by machining channels and blind holes in aluminum 6061-T6. Differences in the centerline erosion rates of holes and channels for a given jet showed clear evidence of incubation and stagnation zone effects. The CFD models simulated various slurry flow rates entering the mixing chamber as a result of the low pressure created by the central high-velocity jet of water. They predicted correctly an experimentally observed flooding condition in which slurry completely filled the mixing chamber and mixing tube. The models could also identify the transient conditions leading to the onset of this flooding as the chamber first began to fill, which could not be identified experimentally. Flooding was found to significantly reduce the jet velocity, thus diminishing its erosive efficacy. The models also identified the operating conditions within the mixing chamber that produced boiling due to the low internal pressure generated by the central high-velocity jet of water. This boiling condition was found in part I to result in a wider jet exiting the mixing tube. The authors acknowledge the financial support from the Natural Sciences and Engineering Research Council of Canada (NSERC) and the Canada Research Chairs Program. CFD computations were performed on the general purpose cluster (GPC) supercomputer at the SciNet HPC Consortium. SciNet is funded by the Canada Foundation for Innovation under the auspices of Compute Canada, the Government of Ontario, Ontario Research Fund—Research Excellence, and the University of Toronto.